Saint Petersburg is the second largest city in Russia, and to find a prestigious job there simply because salaries are different from Moscow, but not much. Job search techniques here the same as everywhere: sites for job search, recruitment agencies, acquaintances. Several it will be difficult for those who want to move to Saint Petersburg from another city and apply for a job. Is it worth it to move from the province to Petersburg? For those who want to move to Saint Petersburg from another city and apply for a job, is to begin "to prepare the ground for such a move. It means to find housing. In addition, once you determine the price of a rented apartment, it will be easier to calculate the minimum salary for which you will be able to agree. The selection you are interested in jobs and negotiate with employers can and should begin even before the move. You can negotiate with different employers and assign multiple interviews in one week, you will be able to come to St. Petersburg. 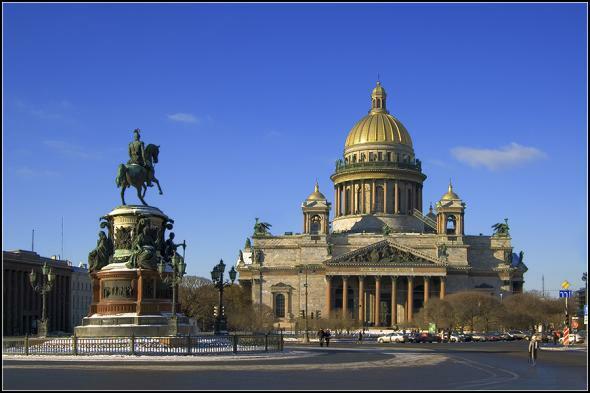 This will save you time and money: no need to travel to St. Petersburg and back too often. If you can visit 4-5 interviews, it is likely that by the end of the week or later get a good job offer. Residents of St. Petersburg and the rest of it is best to look for a job through the sites to find work - such as www.hh.ru, www,superjob.ru, www.ulov-umov.ru. Sites work is quite simple: you fill out the summary form and send it to interested employers. In addition, employers can see your resume. Each summary should write a cover letter explaining your desire to work in the company and in the position and tells (briefly) about your experience, achievements and strengths. To help find a job can an employment Agency. You can send a Headhunter your resume for correction (of course, for a fee) or just to arrange for assistance in your job search. Never lose relevance search jobs through friends - they, too, are working in companies that from time to time we need specialists. Like any Metropolitan city, St.Petersburg has a large labor market with many vacancies. For a successful job search need to learn how to navigate it and decide what area of the labor market is interesting for you.Also, you cannot forget that you have to compete with other applicants for the relevant position. Therefore, for the successful employment you need to learn how to present themselves in a favorable light. 4) job Fairs, which are held regularly.In addition, if you are interested in working in a particular company, it makes sense to appeal directly to the personnel Department of this company. Even if in given time there will be no right jobs, your resume could interest the employer. In this case, the summary is placed in the database. When a suitable vacancy you may be invited for an interview.If your profession is not in demand in the labour market, it is possible to undergo retraining. Such opportunity is given by regional employment centers of St. Petersburg, free of charge. So, when looking for a job the first step will well-written resume. In it you will need to briefly tell your professional biography. You should start with General information: full name, date and place of birth, marital status. Specified in summary the expected position and salary. Following is a brief information about experience and education including courses and training. The main emphasis of the summary is on the previous experience and skills. To receive an invitation for an interview, you must demonstrate that you have sufficient for the desired position a wealth of knowledge and experience. The second step to successful employment is the interview. Even if you are an experienced professional, you should be able to make on a potential employer a positive impression.Prepare for the interview. Find out information about the company you are going for a job interview: what does she do if she has the specifics and what. Pay attention to the details. Employers often have a negative attitude to such a seemingly little thing like lack of a pen from the applicant. Try not to be late for an interview, stay confident, know how to argue their point of view. Don't despair if you don't immediately find work. Job search is work, the result here depends on many components.Usually, commitment and initiative in the search lead to success. The last test that awaits the successful applicant, on probation. It is usually denoted in two or three, at least four months. At this stage, the employer and the new employee get accustomed and get used to each other. But if you have a responsible attitude to official duties, this test is very easy compared to the previous. 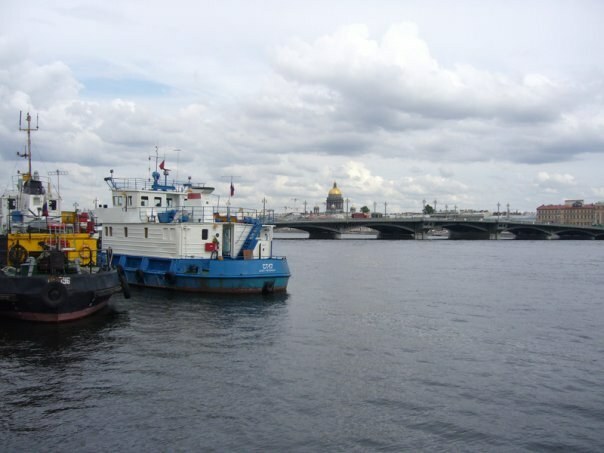 The city on the Neva river attracts with its grandeur and mystery. If you fell under his spell and intend to go to St. Petersburg for permanent residence, you should arrange your move so that you encounter the fewest problems. It is much easier to move if you are a student enrolled in one of St. Petersburg universities. At the time of training you will provide affordable housing in a dormitory (subject to availability) and make your registration. If you want to stay in the Northern capital, the rate on the third-fourth start to look for work in the specialty. Of course, it's hard to be a working student, but after you finish UNIVERSITY, you will be able to find a paying job that will allow you to stay in St. Petersburg. If you decide to drop everything and go to conquer the big city, it is useless sitting at home to look for jobs and housing. Come to see the apartment or to go to a job interview the next day, you are unlikely, and no one will keep you the coveted position unless you are a highly skilled professional with excellent references. Therefore, fold into a bag of the necessary things and take the train. On arrival in Saint Petersburg do not throw away the ticket. By law a citizen of the Russian Federation has the right to be in the city on the Neva up to 90 days, not making residence. Unless you have a cherished liner in the passport, the ticket is your document check by police. However, to postpone the registration temporary registration is not necessary, as without it, good job you find will not succeed. If you have friends or relatives in St. Petersburg, you may agree that they will prescribe. Provisional registration is for six months or a year, after this period it can be renewed. If loved ones in the city you do not, use the services of firms that make everyone a temporary residence permit. Start looking for housing. You can search by yourself ads on specialized websites, in Newspapers, groups in social networks. Is it possible to hire a realtor who will take a fee from you, but you'll find a comfortable and affordable apartment. Before you sign a contract, look for reviews on real estate office on the Internet. Once you are at the passport office issued the documents, you can begin to search for work. Post your resume on the major job sites. Check each day to see the updated list of vacancies and send your data for you liked offers. If the job excites you, please call the Department on work with personnel and to clarify, is it your CV, and when you give the answer.